The Ventura Keys project is a ground-up, waterfront project in Ventura, California. 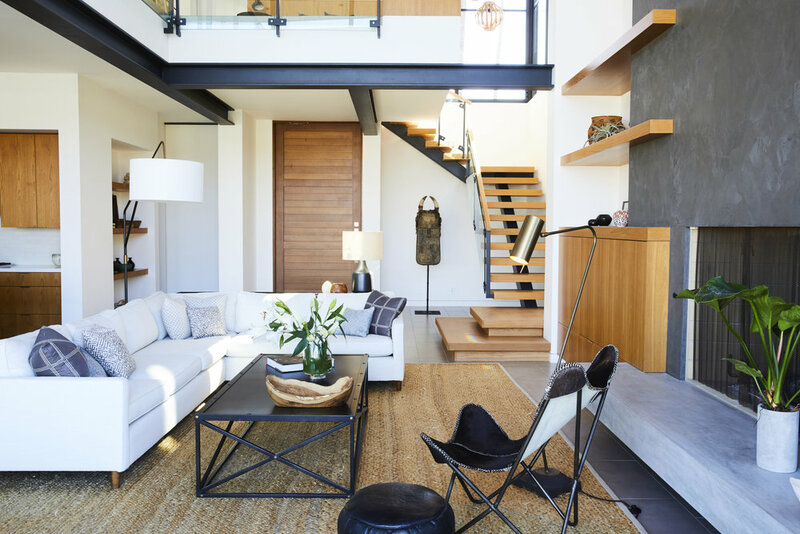 Set on a canal and complete with a dock and two boats, this modern home features a two-story glazed wall, teak ceilings, and exposed steel throughout. Together with the architect, we built on our client's clean and simple vision, executing a well-thought-out, open floor plan with an emphasis on the view of the canal. 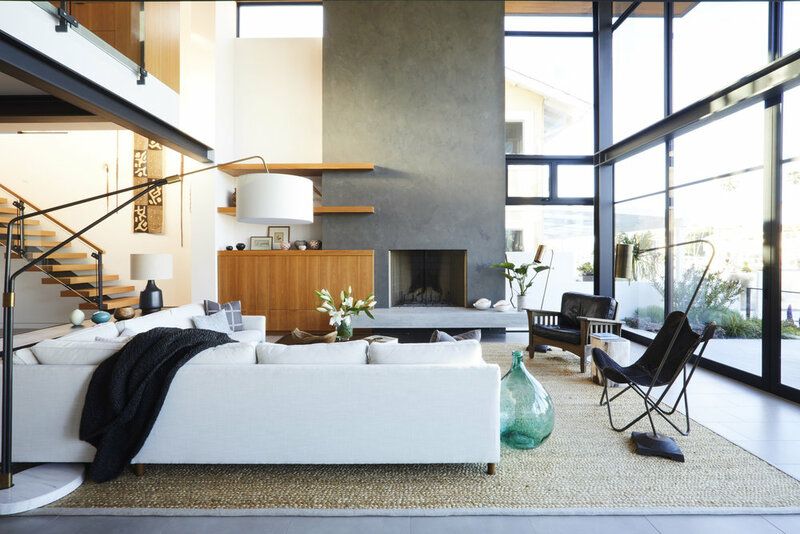 Our design team contrasted the sleek architecture with warm materials and utilized much of the client's own collection of art and artifacts passed down over the years or collected on family trips. All of this made for a sophisticated space full of thoughtful design and treasured memories. JKD's landscape was the finishing touch with an exterior complimented by myriad succulents, native plants, a water feature, and fire pit.